Giorgio Vasari from Italy , considered the first art historian , architect and painter wrote about this sculpture in sixteen century: “When all was finished, it cannot be denied that this work has carried off the palm from all other statues, modern or ancient, Greek or Latin; no other artwork is equal to it in any respect, with such just proportion, beauty and excellence did Michelagnolo finish it”. It was written about the most famous statue in Florence and, perhaps, in all the world: Michelangelo’s David, astonishing Renaissance sculpture created between 1501 and 1504. Michelangelo was only 26 years old in 1501, when he started his work. It took four days and forty men to move the marble statue the half mile from Michelangelo’s to the Piazza della Signoria in Firenze. The statue was moved indoors in 1873. Nowadays, visitors can admire the David under a skylight, which was designed just for him in the 19th century, in the Galeria dell'Academia in Firenze (Florence). 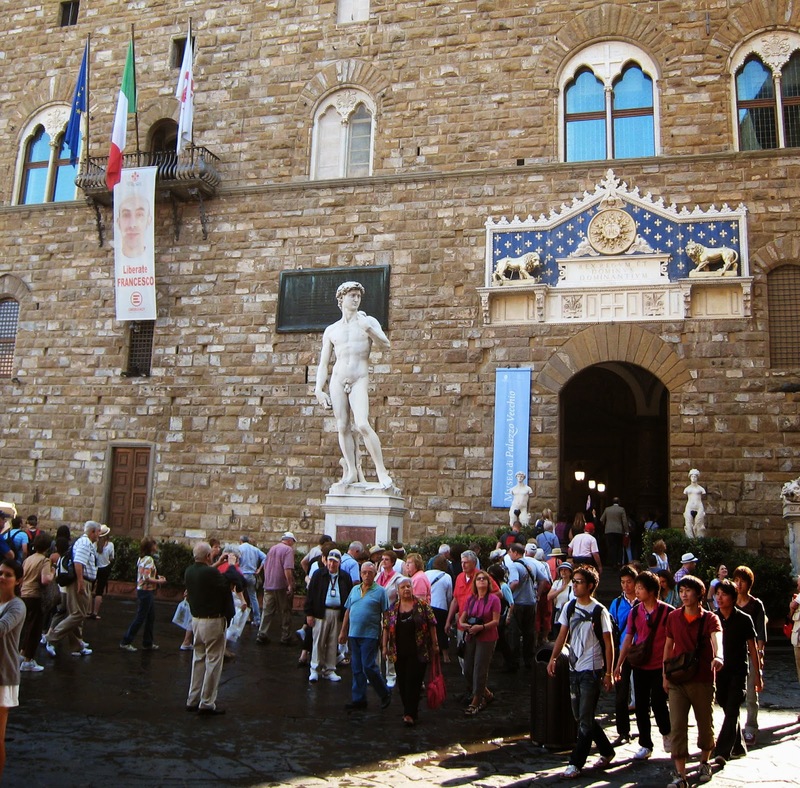 The fill-sized replica of the statue is in the original's position in the Piazza della Signoria. Replicas of Michelangelo's David have been made numerous times, in plaster, imitation marble, fibreglass, snow, and other materials. New York now has its own replica, but just for two short weeks. The statue welcome visitors in New York Macy's department store on Herald Square. 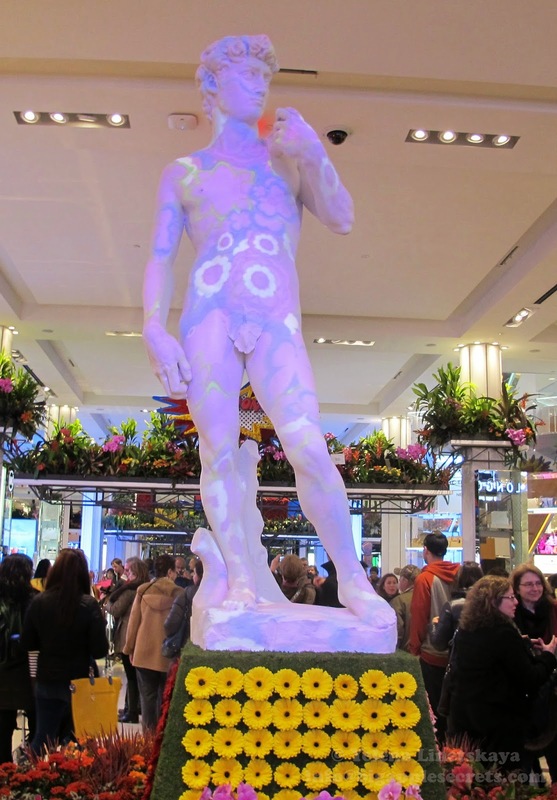 Serving as the centerpiece of the flower show the Renaissance era sculpture incorporated pixel mapping projection technology to bring David to the new millennium. Macy's Herald Square, the flagship of Macy's department stores has 2.2 million square feet and was the world's largest department store from 1924 until 2009. 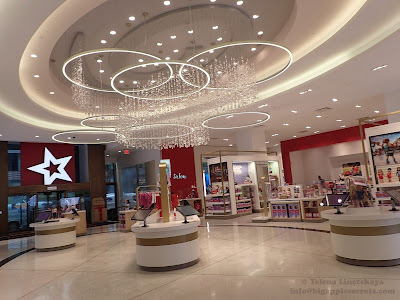 I wrote about Macy's in several of my posts. The Macy’s Flower Show began in 1946 in a San Francisco location. 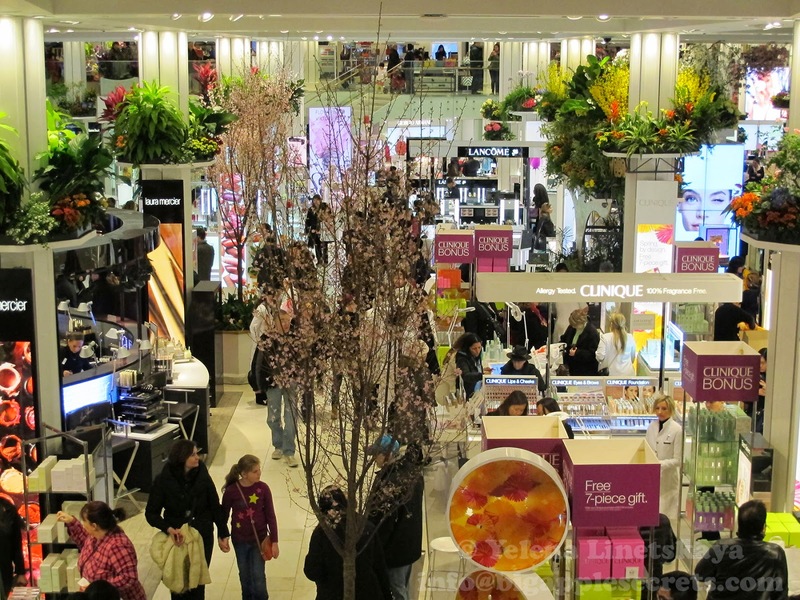 It started as a fragrance festival. It started in New York in 1953 but was interrupted in 1966 due to the rising cost of maintaining cut flowers. In 1974 the Flower Show returned to Herald Square using the design that is still used today. 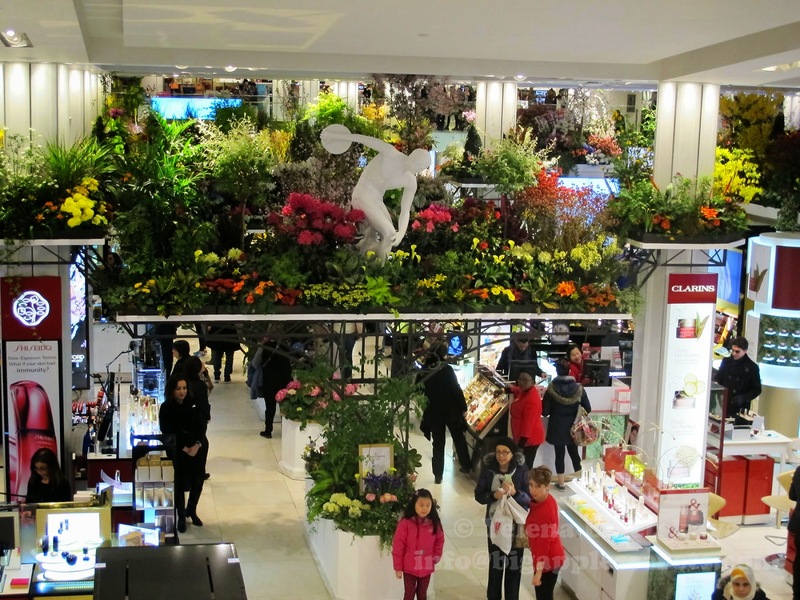 The design employs potted flowers and plants placed all around the store as they stay in bloom longer and are cheaper than cut flowers. 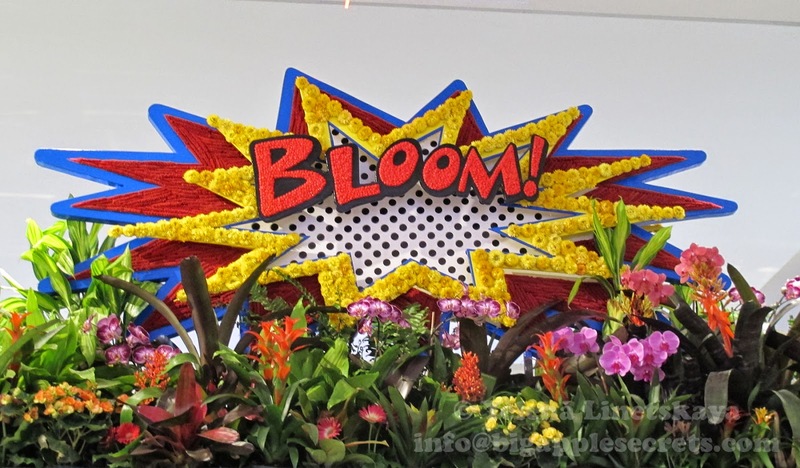 This year’s floral display, entitled “Art in Bloom”, runs through Saturday, April 4th. 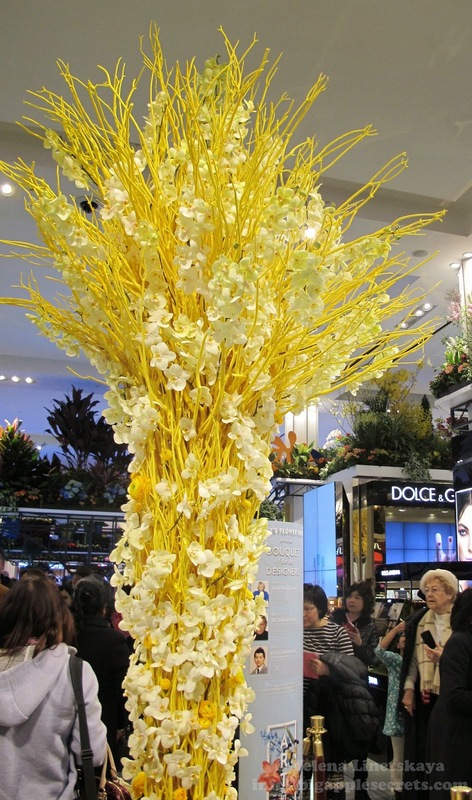 "The Annual flower show celebrates the return of spring in our beautifully renovated main floor," remarks Patti M. Lee, district vice president, general manager for Macy's Herald Square. "We are excited to welcome our customers to enjoy the beauty and grandeur of this annual event. This year's show "Art in Bloom" merges the fine arts with the beauty of flowers for an incredible experience for shoppers". In addition to the copy of Michelangelo's David there is also the copy of the Discobolus (The Discus-Thrower ) that was attributed to the sculptor Myron (flourished about 470-440 BC). Original bronze statue was lost but there is an excellent marble copy, made in Roman times, now housed at the Museo Nazionale Romano, Rome.